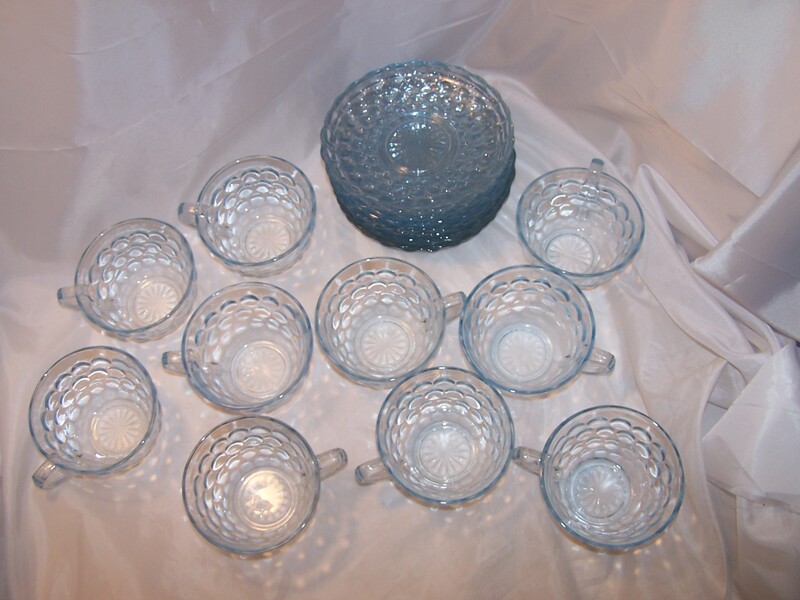 Gorgeous hobnail glass teacup and saucer set for 10. 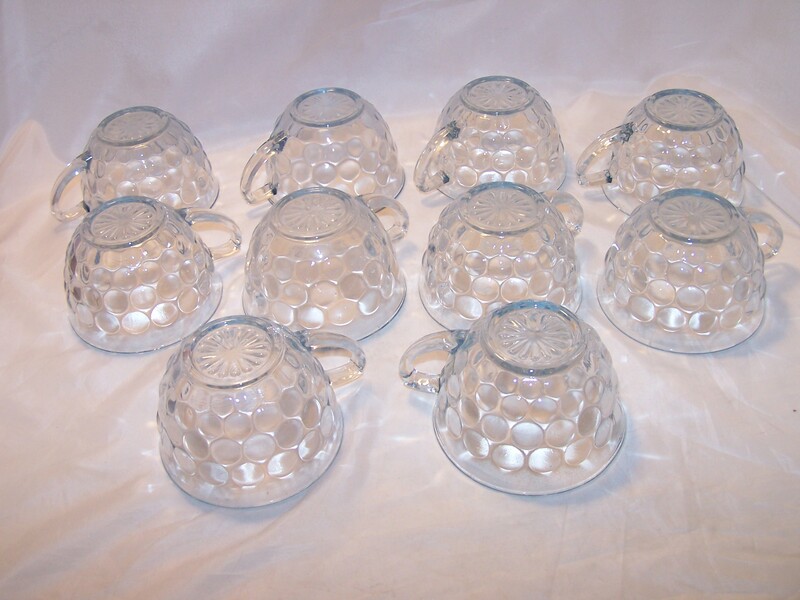 Hobnails cover teacups to within half inch of rim. 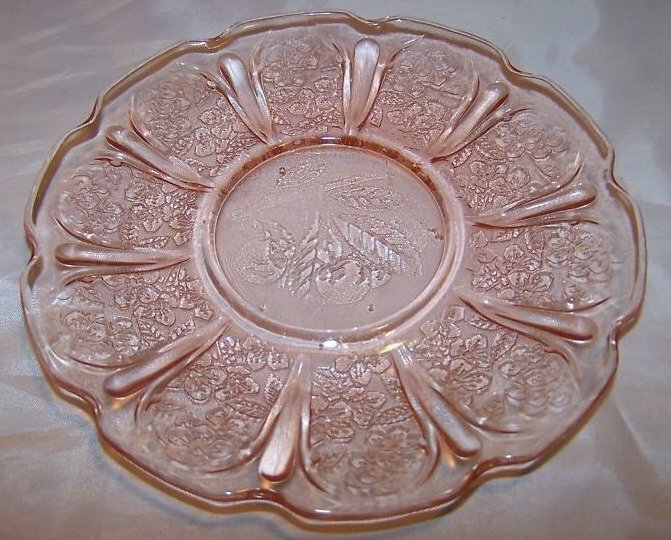 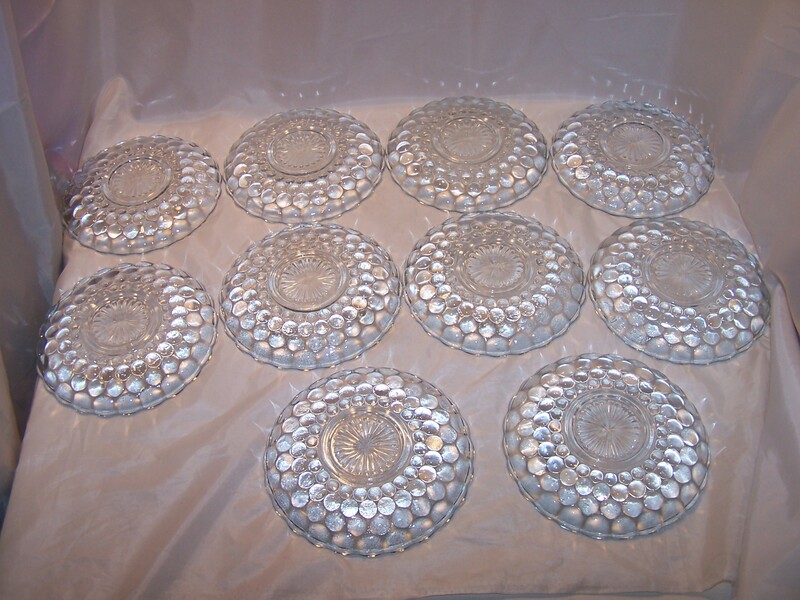 Saucers are covered completely in hobnails, giving saucers a scalloped edge. 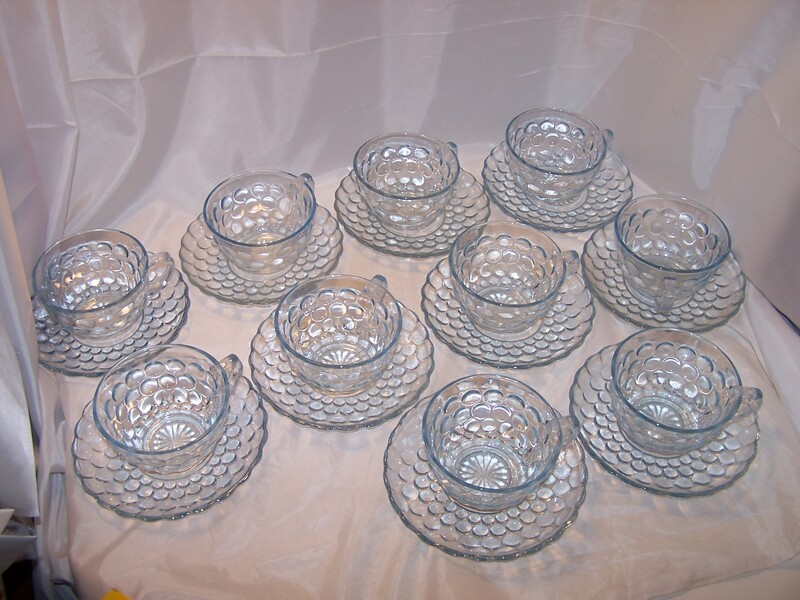 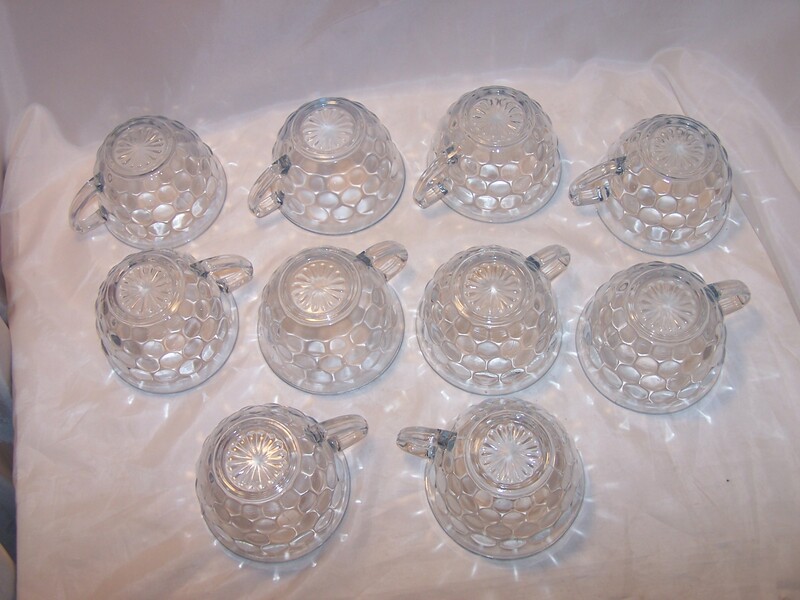 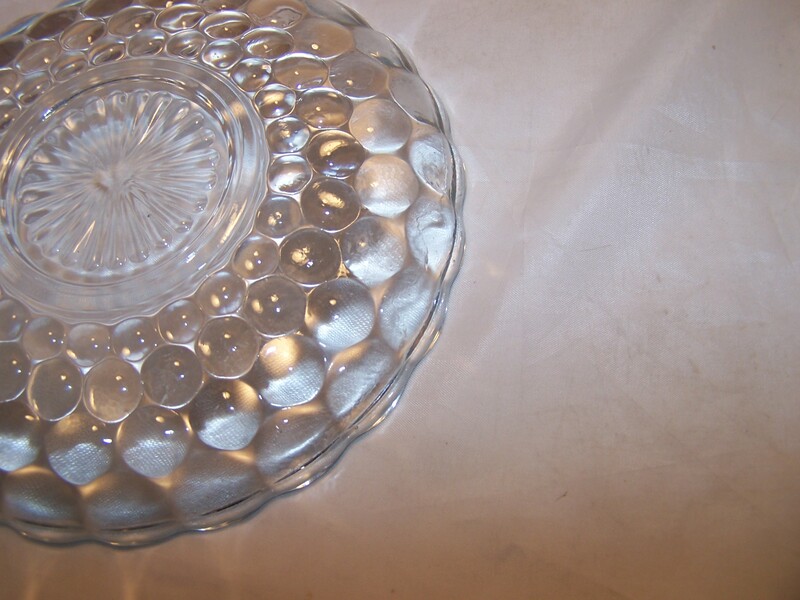 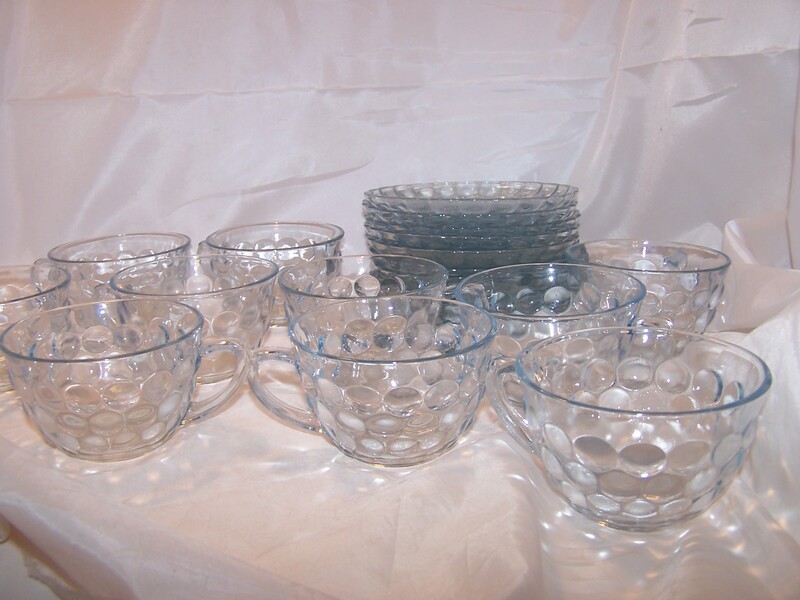 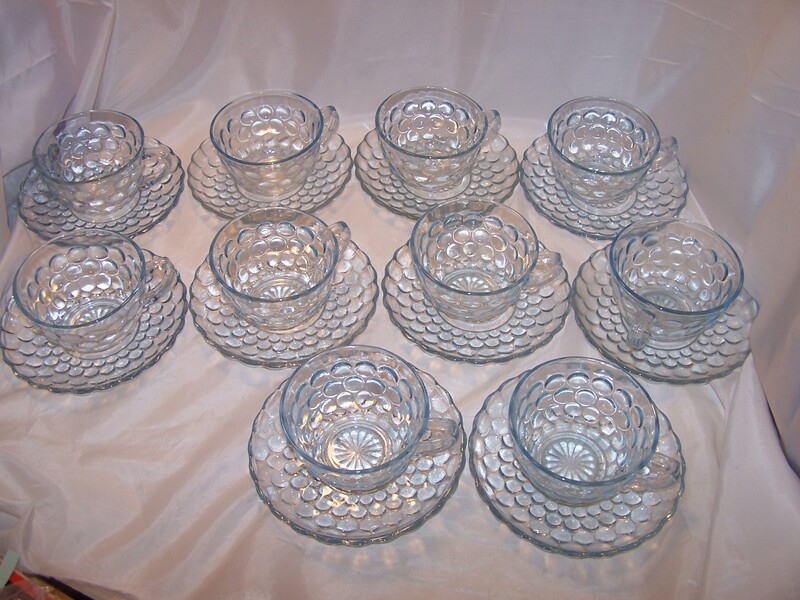 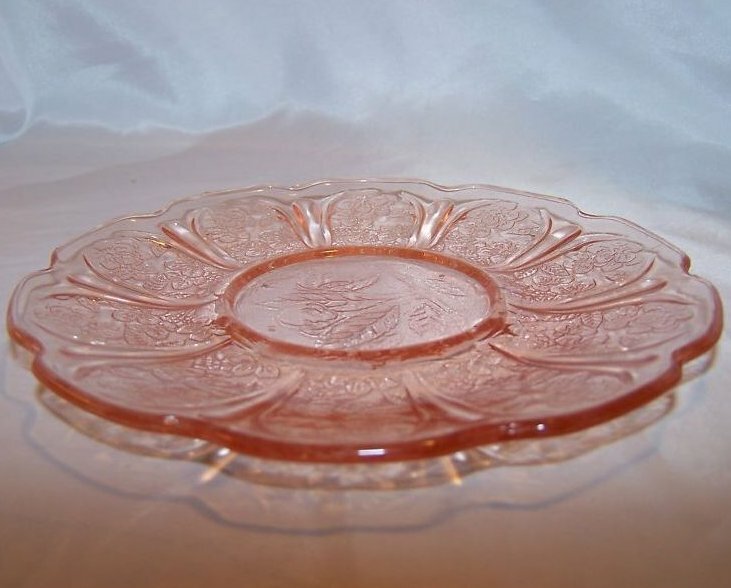 A stunning hobnail glass set of ten (10) teacups and ten (10) saucers. 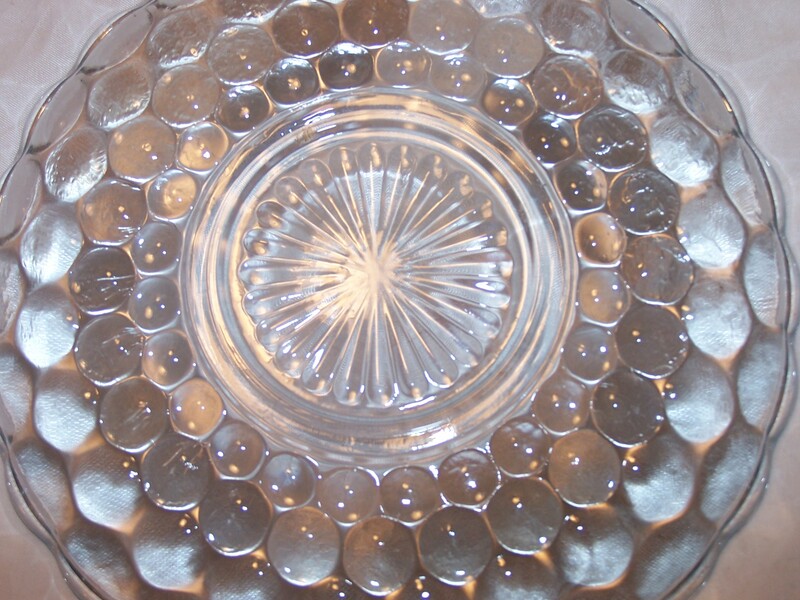 Each piece starts with a starburst pattern in the center with hobnails radiating outward from there. 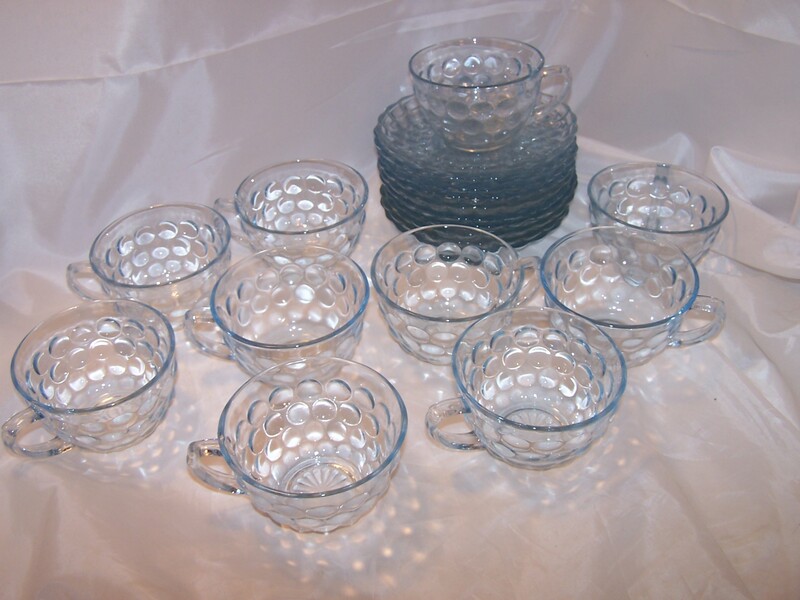 Hobnails on teacups end 1/2 inch from rim to allow for drinking from the cups. 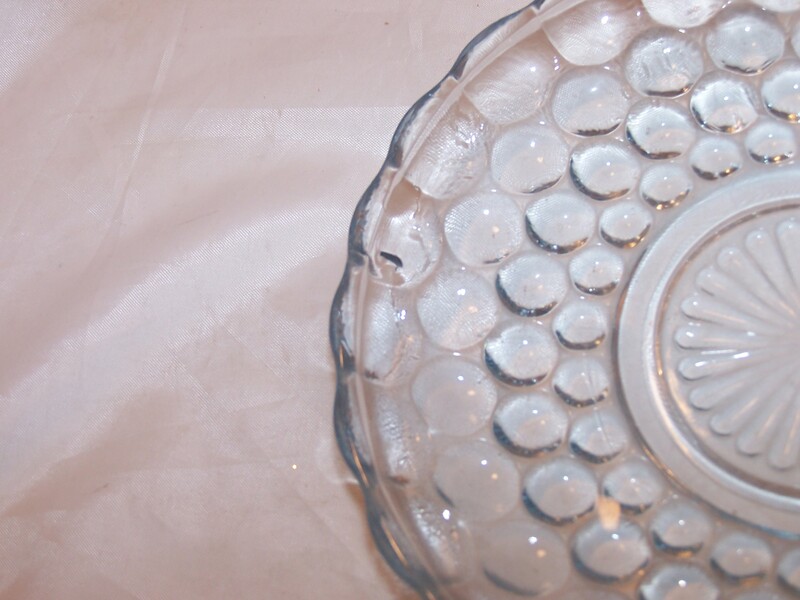 On the curved saucers, the hobnails go to the rim, giving the rim a scalloped edge.